When Musharaf Syed decided to create a supplements business with Aisha Yang in 2009, their business plan didn’t call for a manufacturing facility. Rather, after heading up nutraceutical sales for seven years, Syed believed he, together with Yang’s international marketing experience, could successfully start their own business by filling gaps and niches in the global marketplace. Essentially, the plan was to develop products and let someone else manufacture them. As so often happens in entrepreneurial endeavors, fate typically intervenes. One of the products the engineer-by-training and former sales/marketing executive wanted to launch was a gummi vitamin for children. Few companies were producing the item and the category seemed ripe for further development. So Syed and Yang worked on developing a formula, and then having the gummies manufactured for them. 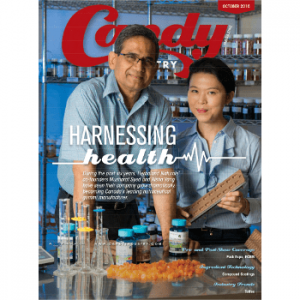 The plan worked for about two years, with Syed and Yang simply focusing on product development and packing the gummi vitamins at their facility. However, when their supplier was acquired by a larger company, Syed and Yang were informed that the new owner’s business model did not include producing gummies for private-label customers. Fortunately, they were given a year to help ease the transition.